‘Switzerland in miniature’ is how the English writer William Thackeray described Glenariff in 1872. Of all the Antrim glens, this is the best known. It contains a state-owned forest park and the village of Waterfoot, also called Glenariff. The village is known for its traditional music and hosts a festival of Irish music every year, in July. Between Waterfoot and Red Bay pier, on the way to Cushendall, is a series of Caves with an interesting history. ‘School Cave’ was where the children of Red Bay had clandestine lessons in the 18th century, when the penal laws forbade Catholic education. The 40ft ‘Nanny’s Cave’, the largest in the series, was the home of Ann Murray. She was a ‘shebeen queen’, a distiller of poteen, who died in 1847 aged 100 years. 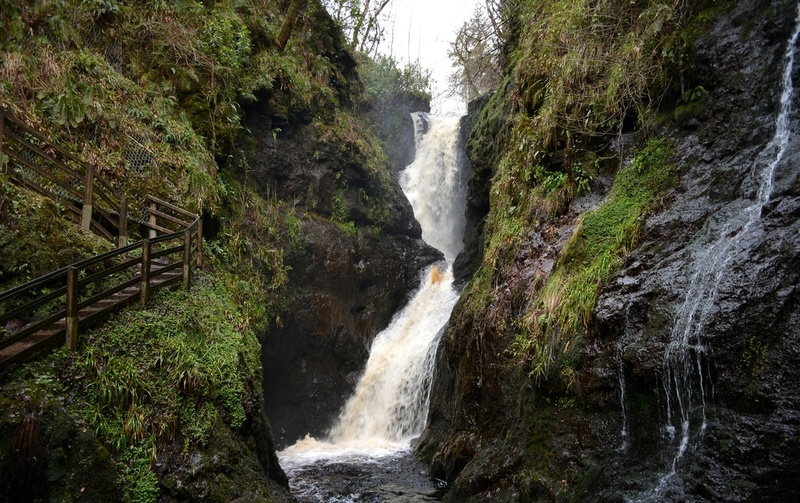 Glenariff is a hidden gem that is worth a visit on your tours of Ireland.